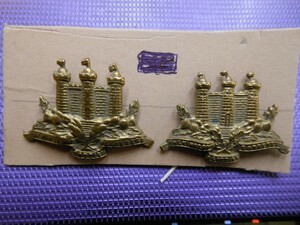 A nice pair of The Kings Own Scottish Borderers collar badges,pre ww1. Made from brass with fixing lugs still intact. They measure approx 35mm wide x 26mm high.